Warning! Story contains graphic images! 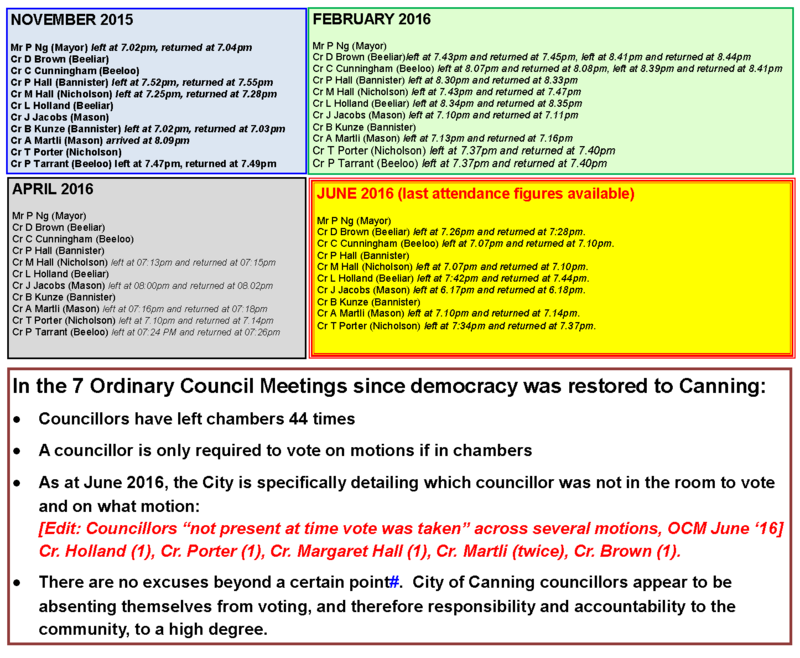 There appears to be either an incontinence issue or an issue with continence within Canning’s new Council – they are racing out of chambers during Ordinary Council Meetings (OCMs) at an inordinate rate and if you aren’t in chambers you don’t have to vote on motions put forward. As if councillor attendance records weren’t concerning enough, only 9 months out from being “under administration” for 3 years, our new councillors (ranging in age from 20s to ahem!) are just not staying the course for the 1-2 hours it takes to fully govern for 100,000 people and what’s covered by a $110m budget.